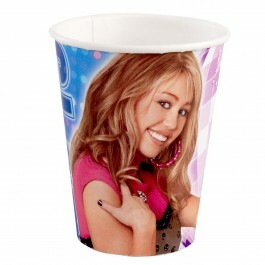 A Hanna Montana party is perfect for any fan of the Disney show and its star, Miley Cyrus. 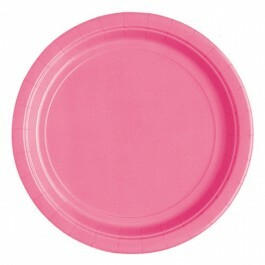 If you are looking to create the perfect Hannah Montana birthday for your little girl, our selection of Hannah Montana birthday party supplies along with these simple ideas will make creating the perfect party a snap. 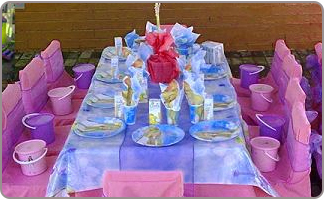 Choose the perfect venue - make sure to take into consideration the weather and the number of people you plan to invite. 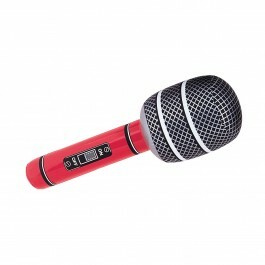 Hannah Montana is a musician, so add a musical theme to the party with Hannah Montana sing-alongs or karaoke. When choosing Halloween party ideas for kids be sure to consider the age group. Younger children may get scared easily, so keep things light. Provide plenty of room at your party location for a dance floor so that your guests can turn up the Hannah Montana songs and dance. Hannah Montana has two personalities, her secret identity and her stage name. 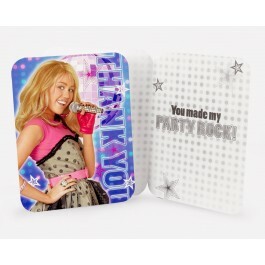 Create two sides to your party, the glitzy Hannah and the down-home Miley for a fun twist to the Hannah Montana party. 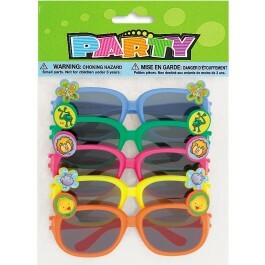 Explore our collection of Hannah Montana Party Supplies for a well coordinated party without splurging much. 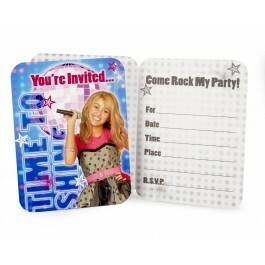 If you are looking for pre-packaged Hannah Montana party invitations in India, explore our collection that will make it easy to invite all of your party guests to join the fun. 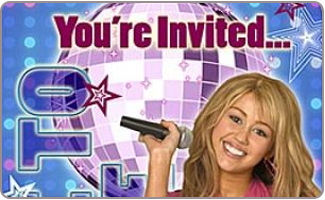 Create Hannah Montana party invitations right at home using your computer and printer. Simply use a picture of Hannah and add all of the information about the party on the inside. 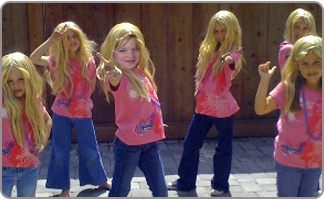 Use simple photo software to put your child's face into Hannah Montana's picture. Then print it out for a unique invitation. Hold a dance contest featuring Hannah Montana music. Buy some basic t-shirts and let all of the guests decorate a Hannah Montana shirt of their own. You can use printable iron-on images and logos, or just let the kids be artistic. Play a game of Hannah versus Miley, using trivia from the show to see if your guests can identify which of her two personalities was involved in an event or said a particular quote. 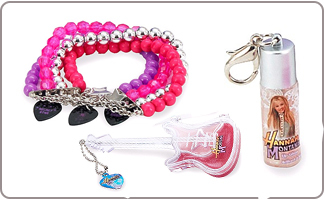 Hannah Montana birthday return gifts chosen from our selection of Hannah party supplies like party masks, jewellery, clips, inflatable guitars etc. are sure to please everyone. 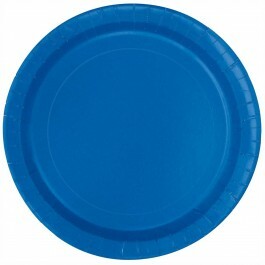 Order Hannah Montana t-shirts or caps for each of the guests. You can even have them personalized if you don't mind the extra expense. Hannah Montana CD's are also a great thank-you gift for any Hannah Montana fan who attends your party. Hannah Montana is a Southern girl at heart, so serve up some Texas style barbeque for the perfect Hanna Montana party theme. 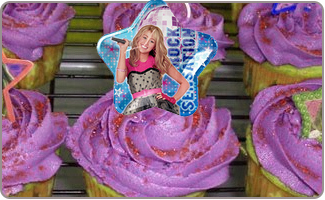 Hannah Montana cupcakes are a fun dessert and can be made with easy to use cupcake toppers. Order a photo cake that features a picture of Hannah on it from a local bakery. Use a cake topper from our selection of Hannah Montana birthday party supplies to turn any cake into a Hannah-themed masterpiece. Create a backstage snack table just like at a concert with water bottles, juice boxes, and snacks like chips, pretzels, donuts and more. 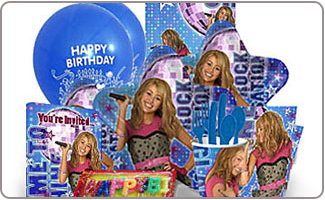 Turn any space into a Hannah scene with our many Hannah Montana party decorations. Decorate in pink with a rocker attitude: add animal prints like zebra stripes to kick up the décor to an edgy rock star feel. 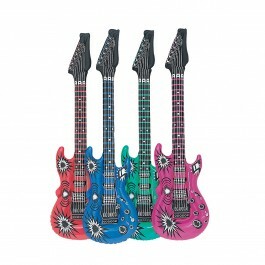 Pink and black balloons give the perfect Hannah Montana party look and feel – girly but rocker. Hannah Montana posters hung around the room will really add to the ambience. 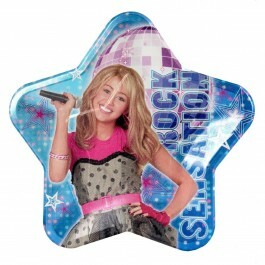 Play Hannah Montana episodes on your TV with the sound off to make it a part of the decorations.